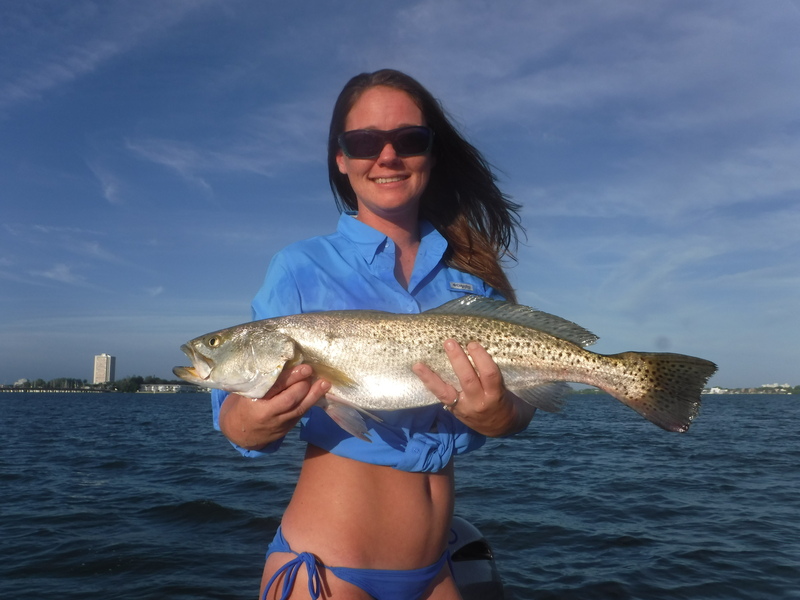 Spotted sea trout, or “speckled trout” as they are known locally, are arguably the most popular gamefish along Florida’s west coast, and that is the case here in Sarasota as well. They are plentiful all along the coast of Florida and around to Texas. One of the “bread and butter” targets for local charter boat captains on fishing charters, trout are abundant year-round, cooperative, and provide great table fare for anglers seeking a couple of filets for a meal. Lush grass flats abound in the waters off of Siesta Key, providing prime habitat for trout. These fish can be taken using a wide variety of techniques. Live bait, especially a frisky shrimp, fished under a cork is a prover trout slayer. In the warmer months, loading up the baitwell with frisky pilchards or threadfin herring and using them as chum can be extremely effective. Artificial lures fool many trout, with the jig/grub combo being the most popular in our local waters. One quarter ounce jig heads with a plastic grub body that imitates a shrimp or bait fish is added. 4" is a popular size in glow, chartreuse, olive, motor oil, and rootbeer. Plugs such as the Rapala X-Rap and spoons work well, too. Fly angers do well targeting speckled trout using a 7wt or 8wt outfit and a weighted fly such as a Clouser Minnow. It is very important to release the larger trout over 20”. These are the breeder stock females and must be free to reproduce, insuring a good crop of juvenile fish. If a few are to be kept for eating, and they are delicious, keep a couple between 16” and 18”, those make the best table fare. 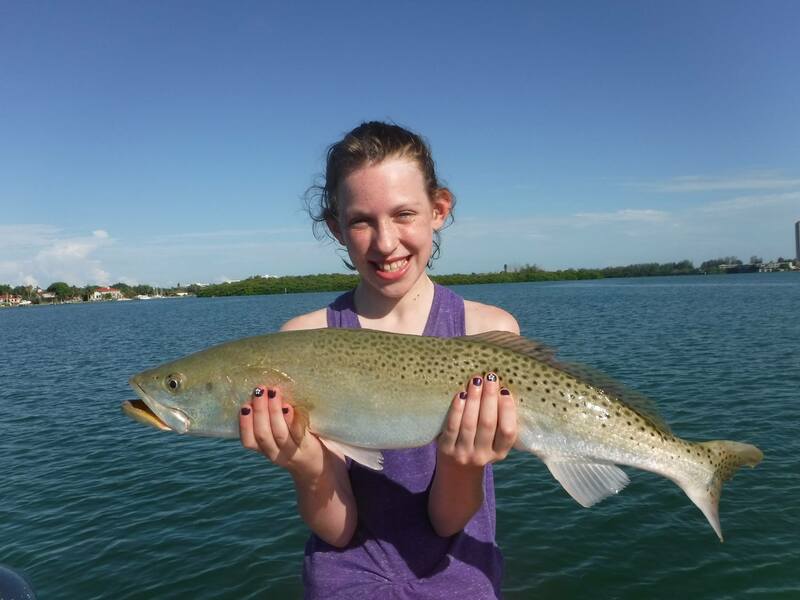 If you are ready to go Speckled Trout fishing in florida, call us at (941) 371-1390 and book your charter today. Current Spotted sea trout regulations can be found HERE.